Mark Andy Digital One, a CMYK dry-toner device with inline decorating and converting, has successfully received the BS5609 certification on Avery Dennison substrate. BS5609 is a certification that guarantees label durability in harsh marine and weather conditions. Labels printed with technology on material that retains the BS5609 certification will hold integrity, staying intact after up to 3 months of saltwater exposure. 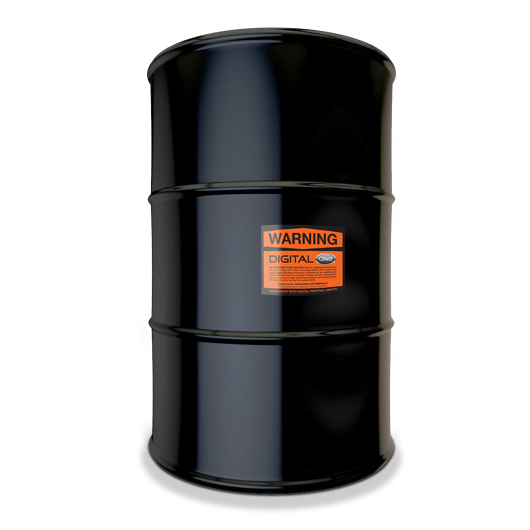 This is a common mandatory prerequisite for transporting oil and chemical drums overseas, boosting the longevity of key identifiers if a barrel were to accidentally fall into the ocean. The in-line printing and converting unit went through multiple testing phases in partnership with Avery Dennison, securing both Section 2 and Section 3 certifications on the substrate supplier’s material. Section 2 compliance formally assures material adhesion after a 3-month period of ocean-water exposure. In this test, blank label material was exposed to salt spray, intense sunlight, and other artificial weathering conditions common with cross-continental travel. Differing from Section 2, Section 3 compliance is an evaluation of printed label durability. In this examination, labels are tested for permanence of print. The process includes exposing the label to lab-generated weathering and tape removal. Additionally, abrasion resistance is examined to ensure there will be no degradation in print quality or appearance. “This certification proves the staying-power of toner technology when paired with quality substrate.” states Tim Brasher, Director of Business Development, Mark Andy. For converters, this certification promotes time and cost savings, bringing a newfound advantage when looking to enter the durable and industrial print space. Rather than individually conducting the tests, label providers can reference the BS-approved list when choosing a combination that best meets their client’s application needs. The Digital One certification comes in wake of a UL 969 durability certification for the company’s flagship hybrid solution, Digital Series. Mark Andy diligently works with a variety of substrate suppliers to evaluate materials for specialty print and market applications, continually adding capability and versatility to their technology. These digital hybrid pressesprovide the complete package, helping print operations offer a more holistic, full-complement array of services.